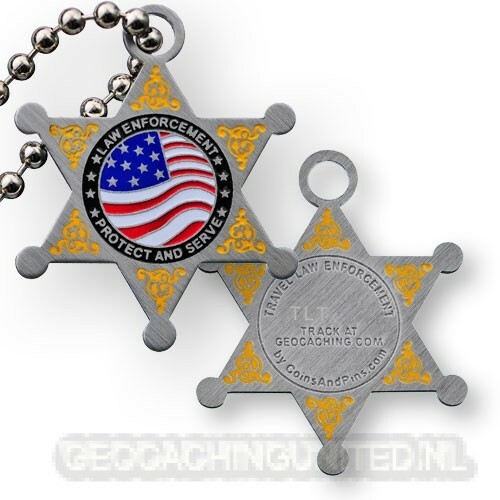 This great travel tag honors those who serve to protect our public safety. It is in the shape of a star and is colored on both sides. Get this geo-tag to support police officers everywhere, or to remember the time you were pulled over by the police wondering what you were doing digging around in those bushes late at night. It is not so easy to explain geocaching when you are nervous.